If imitation is the sincerest form of flattery, then Nintendo and their console Zelda team should be blushing like school girls. 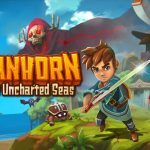 I say this because little-known game Oceanhorn: Monster of Uncharted Seas has made its Xbox One debut, and it’s drawing comparisons to the best adventure series of all time (in this reviewer’s opinion). It doesn’t take long for anyone to see the similarities: a young protagonist, gorgeous cartoon art, swordplay, sailing and puzzles. All good things aside, I was still skeptical that Oceanhorn could maintain such quality throughout a lengthy campaign. After spending some time with it, I was more than pleasantly surprised. As a parent, the story in Oceanhorn managed to hook me from the opening scene. Rain and lightning pound your island as the camera pans into your home. Your father is narrating his possible last words to you. 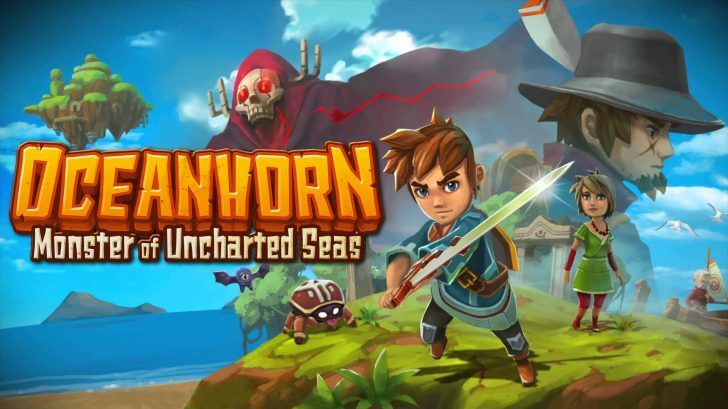 He must take action before it’s too late, the evil Oceanhorn must be destroyed. He leaves you with his traveler’s notebook and your mother’s necklace, her last remaining memento. As dawn breaks, you wake up alone and begin your journey. I like how the story isn’t too convoluted and it’s something we can all relate to, the desire to be with your family and know that they are safe. As your journey unfolds you will meet interesting characters, earn new abilities, fight lots of monsters and sail to numerous islands. Controlling your main character is fairly intuitive, with buttons mapped in perfect locations for sword swipes, picking up objects, throwing, running, etc. While good, I wouldn’t describe the control fluidity as great. Oftentimes I felt the movement to be jittery and combat sometimes felt a little disjointed, leading to me taking damage when I shouldn’t have. Another small gripe I have is not being able to break pots with my sword; it just doesn’t feel right and it takes more time to pick up and throw each pot individually. I love how the main character levels up through combat, it made me want to fight every enemy even after they respawn. Graphics, sound and presentation are areas where Oceanhorn really shines; I couldn’t believe this was a former iOS game. All the islands, caves, and dungeon areas are played from an isometric view with lots of vertical traversal via stairs and horizontal traversal via bridges. You can sail to different islands you discover and thankfully it’s quick and automatic. While sailing you can focus on naval combat: shooting enemies, mines and boxes for items. The music in the game is whimsical, relaxing and fits seamlessly with the graphics. Japanese composers Nobuo Uematsu and Kenji Ito created some of the music for the console port; further enhancing the quality. The developer FDG Entertainment claims you will get at least 10 hours of gameplay from Oceanhorn and I feel that’s a pretty modest estimate. Every island has three challenges you can complete for XP rewards and achievements. These can vary but typically involve finding a hidden item or performing an action a set number of times. 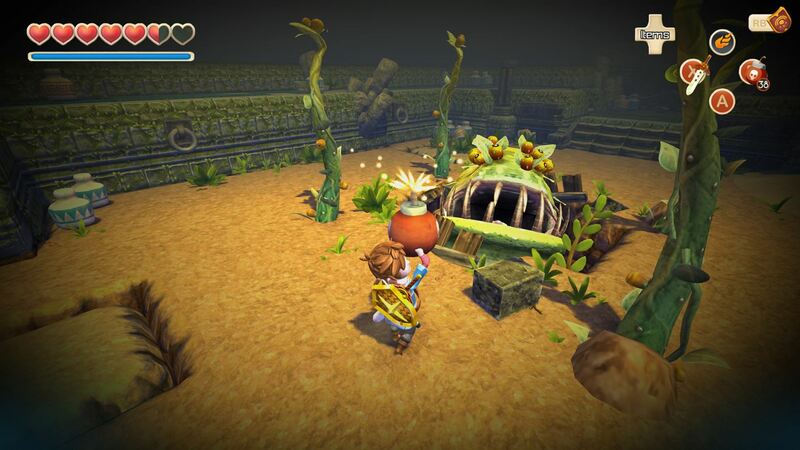 Oceanhorn is also generously priced at $14.99 which is a steal for the quality and amount of content in the game. I spent a lot of time trying to figure out where I needed to go. NPC characters will give you hints and point you in the general direction, but oftentimes I found myself stumped and searching the same areas over and over looking for an item or new passage. It would have been nice to have maybe a waypoint on the minimap to make finding an objective a bit easier. 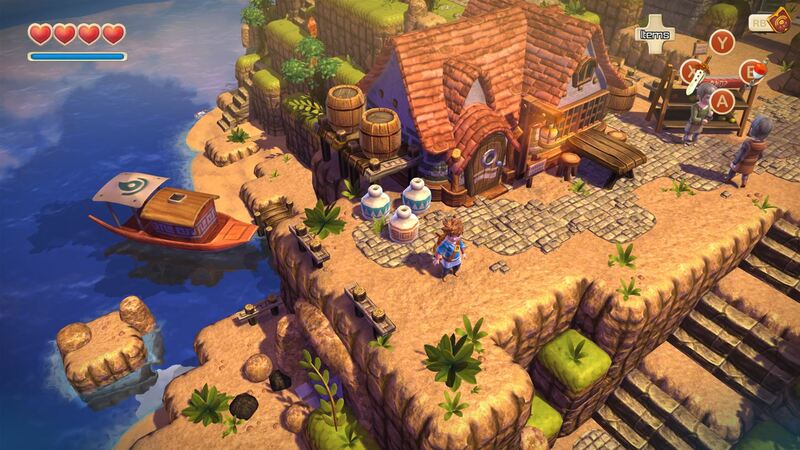 Fans of adventure games are going to find a lot to love about Oceanhorn. I’ve seen other reviewers call it a “Zelda clone,” but to me it felt special all on its own. The feeling of excitement when a new island is revealed or new ability discovered is one I don’t experience in every game. Oceanhorn is a pleasure for the eyes and ears and despite the small issues I had with the controls, it’s an incredibly high quality experience overall. 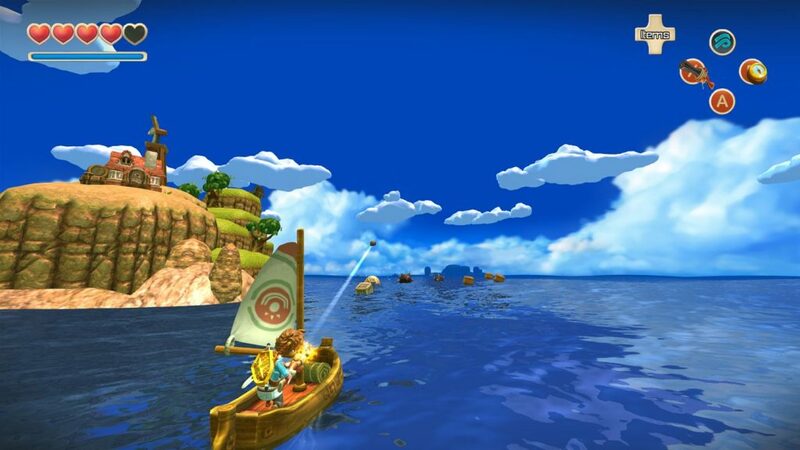 Ease the wait for Zelda: Breath of the Wild and treat yourself to Oceanhorn in the meantime, you might find yourself pleasantly surprised.